A few weeks back, I spent three days by myself going through papers, files, photos, journals, and old stuff I planned to read, study, do or make for the last twenty years. I decided it was time to get real and to let all that stuff that had been hanging on — just go. So I put everything I planned on keeping into a bin and everything I planned to discard in another four bins. I stood looking at the stuff I was getting rid of and decided it was a good idea to have a puja… a purification ceremony where I could bless where I’ve been, where I’ve walked, and in turn stand tall in what is most alive for me today. That was the 4th of July. And so, I took a shower, dressed myself up pretty, made myself a beautiful dinner, poured a kombucha in my best wine glass, and headed outside to start a fire. 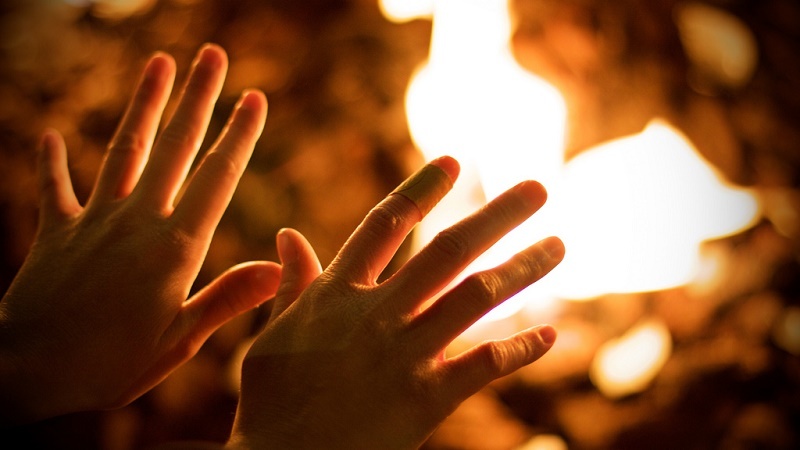 I offered the first of my meal to the fire and to the power of transformation, and then, said a prayer of gratitude and turned my attention to my piles of stuff I was about to burn. Paper by paper, life experience by life experience, dream by dream, I blessed, crumpled, and tossed what was no longer — into the fire. It was time. And it felt incredibly liberating. And now, dear ones, once again, it’s time . . .
It’s time to share a few things. I’ve danced around writing about the details of my personal life, because I don’t know what is pertinent or necessary, quite honestly. I am not sure what part of my life story can be of service to your life, so I’ll say just a little. The last two years have probably been the most difficult of my life. I have gone through some of the greatest internal changes to date, and at times I didn’t know how to show up in my world, so I opted to remain silent. For those who may not know, or have heard in the ethers, Larry and I ended our fifteen year marriage, and I signed the Yoga Farm over to him, where he continues to live and offer a beautiful retreat space for all sorts of healing to occur. I will not speak for him, but from where I sit, we continue to be very close, loving, and I consider him and his family to be my own family. I also feel that the Yoga Farm is one of the most beautiful gifts I have ever been given, having dreamed it and created it with heart and hands. I trust that what Larry and I built together will continue to serve others for ages into the future. 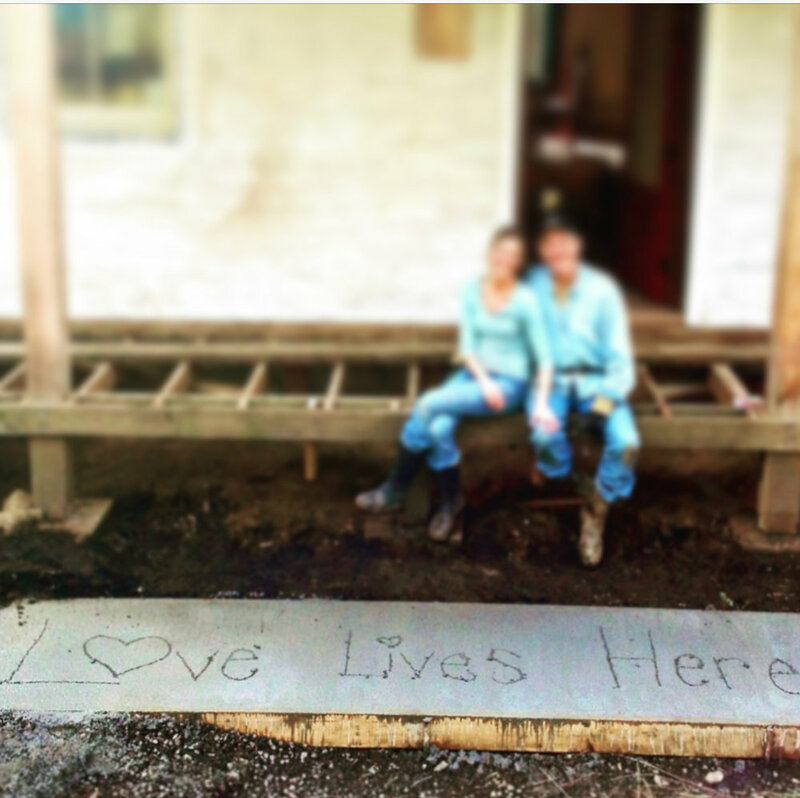 When we built the Yoga Farm, Larry suggested I sign the concrete platform before installing the front porch. But I didn’t sign my name, nor his. Instead, I inscribed, big as possible, “Love Lives Here”. And it did. And it does. And I have complete confidence that Love will continue to live on at the Yoga Farm. Because, well . . . when all is said and done, Love is all there is. I won’t say much more about the nitty gritty of my life at this point. But I will say that what I have gone through, feels strangely like an initiation into my own soul, where all of the perfect plans I had made for myself slowly began to dissolve, regardless of what my mind wanted… and my soul began to whisper, and when I did not listen, began to speak more firmly to me, revealing a different sort of life path. A path, that with the help of some tremendous teachers and mentors, has reminded me that the life I had been living was ready to be surrendered to the life that was wanting to be lived through me. And so, what I know now . . . is that . . . It’s time. Despite the darkness I have walked through (that we eventually all walk through), I feel inspired, present, and committed to continuing to walk, however the Divine asks me to do so. On this day, I am living in a village in central Mexico, and I trust that I am being watched over and guided, every step that I take. I feel safe, peaceful, whole. I can't ask for me. And I trust the signs. I trust when things are easy and feel right, and this feels like both of those things. My work is blooming in new ways and given that, I am deeply inspired to share the God-give work of Pilgrim in September, with much more depth and breadth than I had within me to offer in past years. I also have plans to return to teaching Sunday Satsangs in the Fall, with a little twist :: as they will be offered virtually, for easy access from the comfort of your own home, wherever you may live. But more on all that in coming days . . . The Prayer . . . for your well-being, your peace of mind, your health and clear-heartedness as you walk your own soul's path, may it be through the shadows or beneath bright open skies. And the Promise . . . the promise that I am here, once again . . . and I am so ready to love you and offer the best that I can in the way that I can for as long as I can ... as a servant leader of good ol' fashioned luv. Because, well . . . It's time. Sending you soooo much love wherever you may be today.